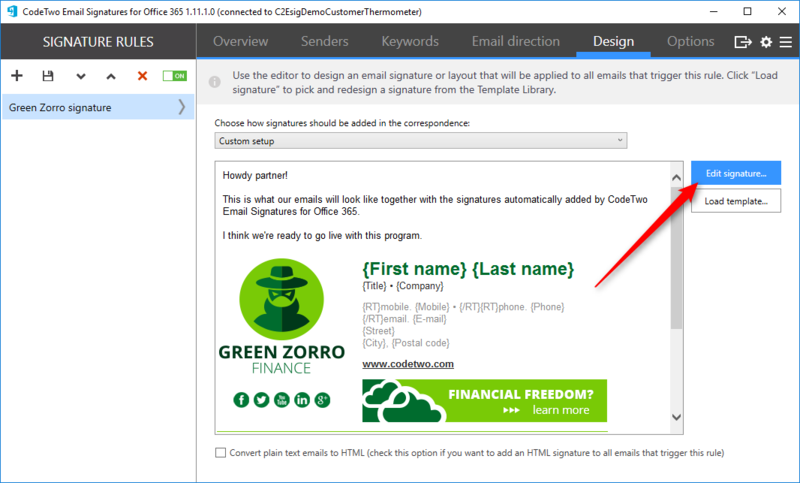 You can insert your feedback buttons into Office365 or Exchange CodeTwo signatures. These instructions show the Office365 setup. 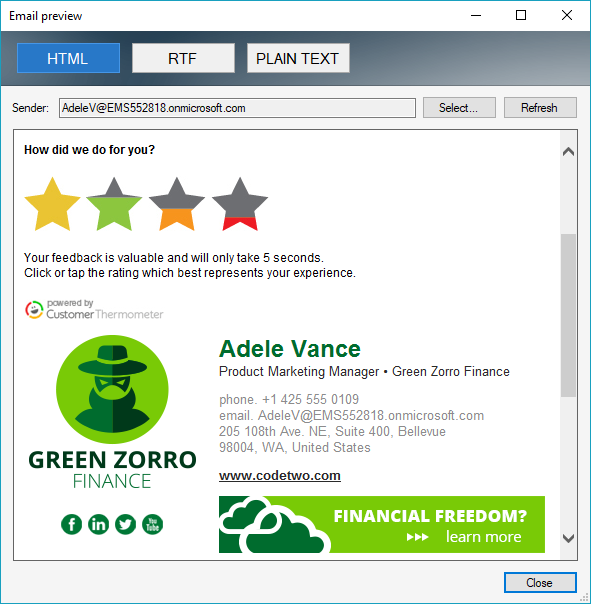 Note the HTML code generated by Customer Thermometer will work with your Exchange editor too. 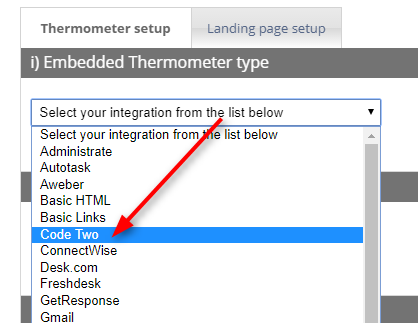 Customize your Thermometer and Landing pages as required. Edit the fields shown below as required. To find other fields for tracking, visit the CodeTwo Editor and click the “AD attributes” button to reveal additional fields. Copy and add relevant ones to the popup fields as shown below. When complete, click “Generate HTML”. 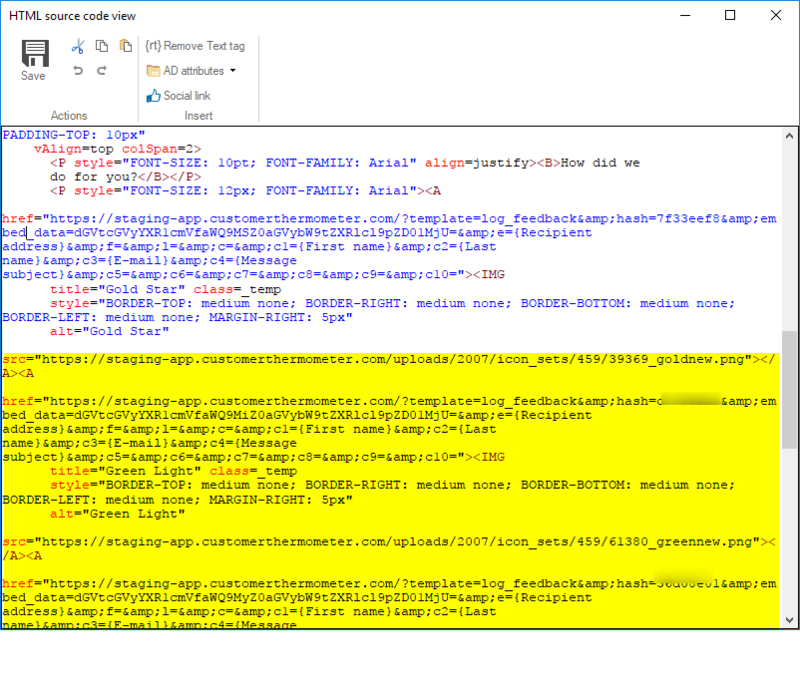 You’ll then see the HTML code appear on the right. 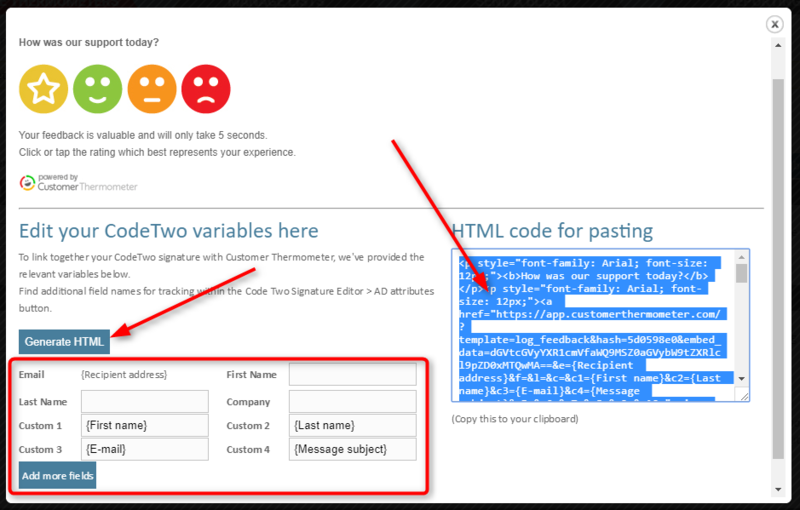 Copy the HTML generated to your clipboard, ready for pasting into your CodeTwo signature. This will spawn the signature editor, where you will add your feedback buttons. This will spawn an addition source code window. Click “Save” on the toolbar. Close down the source editor. Close down the editor when you’re done..
Set your signature live as you would do normally.